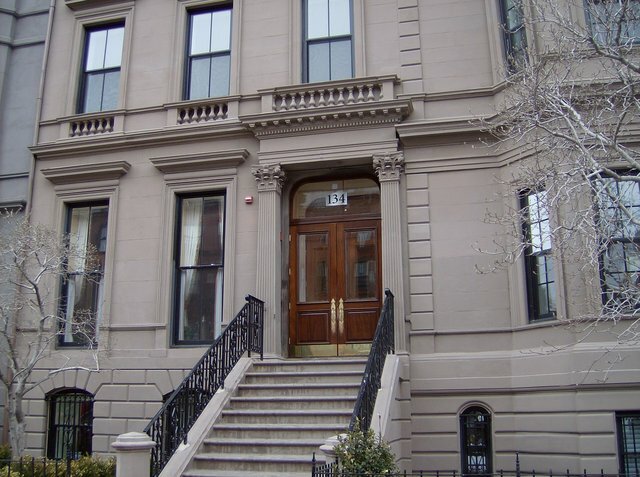 The Riverside Is A Magnificent Renovation of a waterside Beacon Street brownstone originally built in the heart of Back Bay in 1861 in the French Academic style. This wonderfully located brownstone boasts classical detailing on the exterior including fluted Corinthian pilasters and swagged panels. With stunning views of the Charles River, The Riverside presents several different floor plans to choose from with an opportunity to customize. Grand fireplaced rooms, soaring ceiling heights, elevator access, private terraces, and garage parking are just some of this marvelous renovation’s many highlights. Units are all full floor or duplex units ranging in size from just over 2,400 square feet to 2,861 square feet. Both of the parlor and garden level duplex units have sequestered gardens and the third floor unit has a private deck with stunning Charles River views. Oak floors with delicate mahogany borders underscore the elegant formality of the living rooms, dining rooms, entry halls, and master bedrooms. Spacious cook’s kitchens are finished with Viking professional series 6-burner gas cooktop and Viking double wall oven. Refrigerator, exhaust hood, dishwasher and wine cooler/storage are all Viking in matching stainless steel as well. Marble and mosaic tiled baths finished with the best Waterworks fixtures finished in polished nickel.